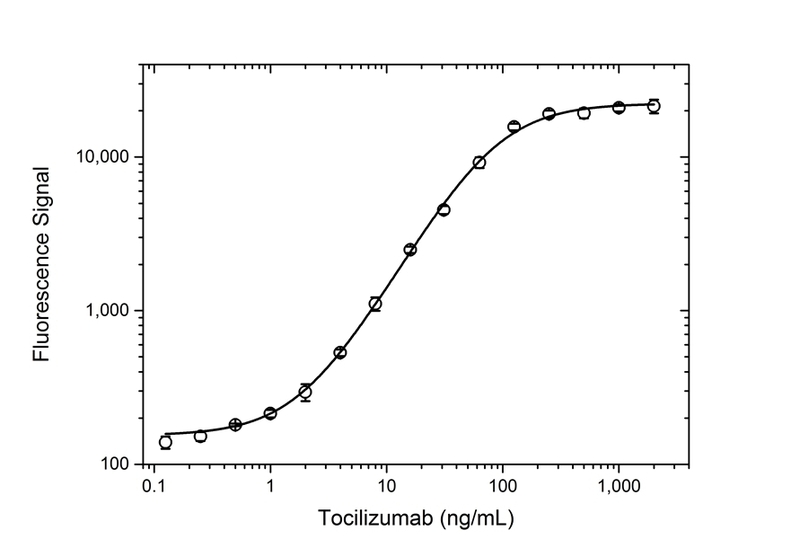 Anti-tocilizumab antibody is a recombinant, neutralizing anti-idiotypic antibody in fully human IgG1 format, suitable for bioanalytical assays for tocilizumab and biosimilars. 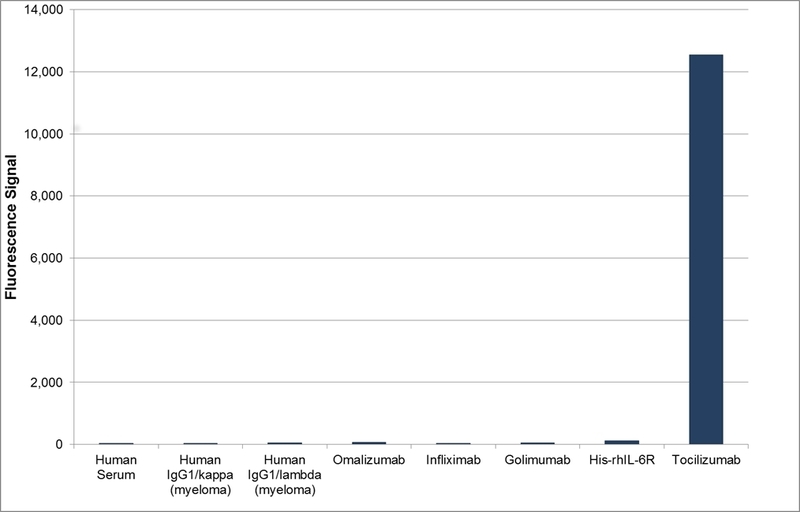 It is recommended as a reference standard with medium affinity for an ADA bridging ELISA. 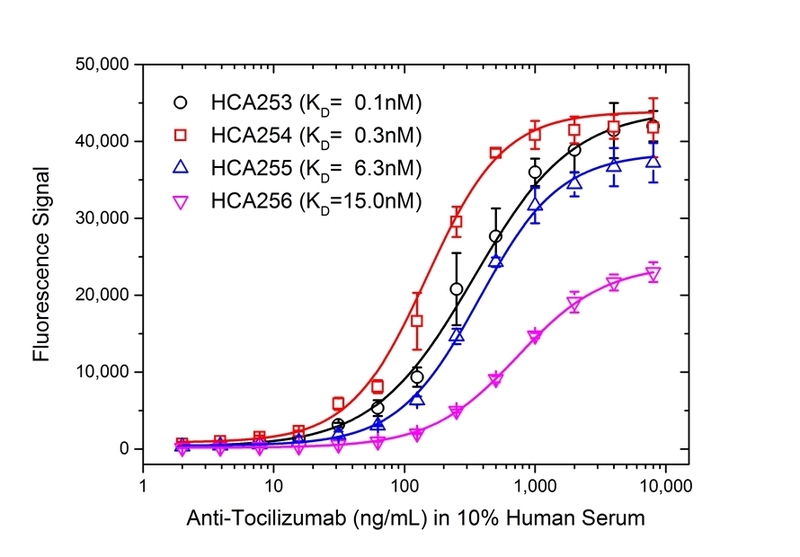 Human Anti-Tocilizumab Antibody, clone AbD21346_hIgG1is a paratope specific, anti-idiotypic antibody that binds to free tocilizumab but not to human Interleukin-6 Receptor (IL-6R) or the drug/IL-6R complex. Clone AbD21346_hIgG1 is a fully human recombinant monoclonal antibody with IgG1 isotype and is suitable as a surrogate positive control or calibrator (medium affinity) in an anti-drug antibody (ADA) assay. Tocilizumab (RoActemra/Actemra) is a humanized IgG1/kappa monoclonal antibody approved for the treatment of moderate to severe rheumatoid arthritis and for the treatment of systemic juvenile idiopathic arthritis. The therapeutic antibody is directed against IL-6R and acts by blocking the binding of IL-6R (both the soluble form, sIL-6R, and the membrane bound form, mIL-6R) to IL-6, thus impeding the pro-inflammatory properties of this cytokine. 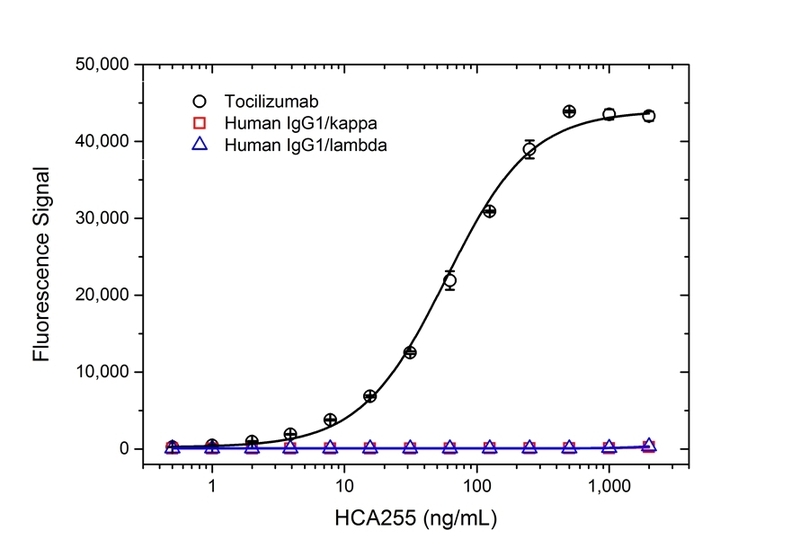 Human IgG1 antibody (kappa light chain) selected from the HuCAL® phage display library and expressed in a human cell line. This antibody is supplied as a liquid. 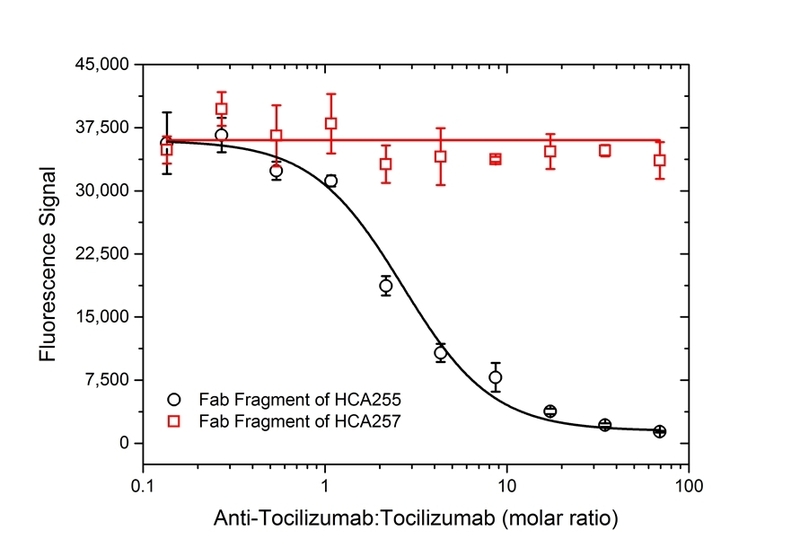 The monovalent intrinsic affinity of this antibody was measured as KD=6.2 nM by real time, label-free molecular interaction analysis on immobilized tocilizuimab. Actemra® and RoActemra® are registered trademarks of Hoffman-La Roche and Chugai Pharmaceuticals co., Ltd. This product may be used in a direct ELISA or as a detection reagent in a bridging ELISA together with HCA252 as the capture reagent.